The Frith is a fine Cotswold stone farmhouse in Gloucestershire. 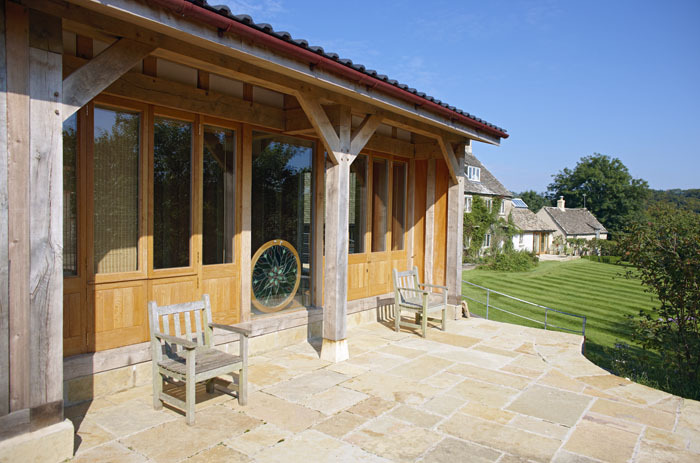 The clients wanted a kitchen extension and also an oak-framed barn in their garden. The architect, David Austin, designed a kitchen extenstion to add space and light, which you can see in this image of the finished project. 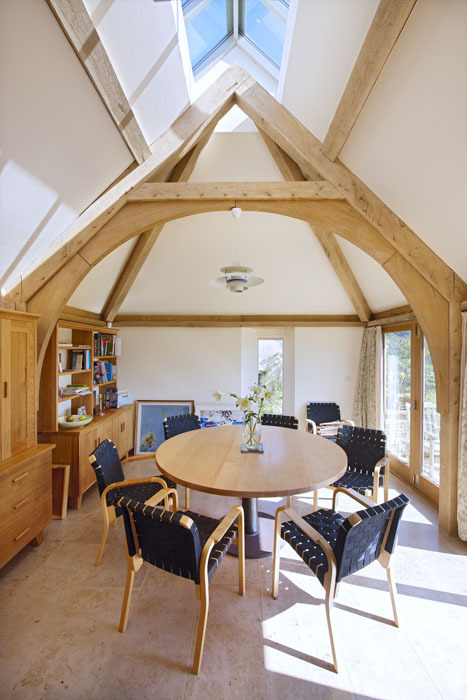 Arch braced trusses are used to maximum effect. The wall that you can see behind the frame above was demolished to create the wide open space for the kitchen and dining room. 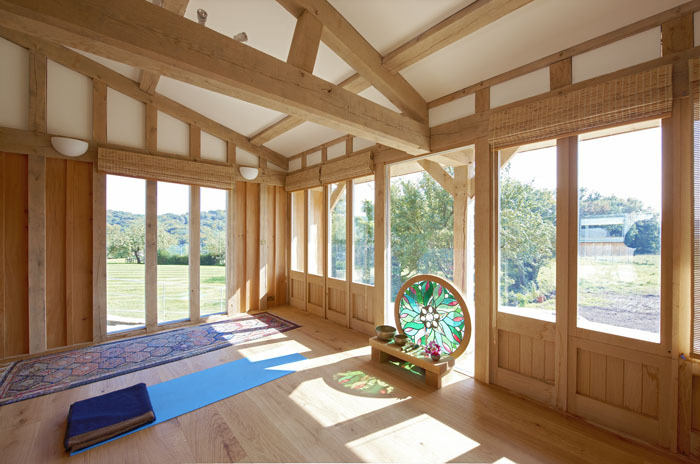 This is the new green oak framed barn in the garden, which replaced an existing old barn. 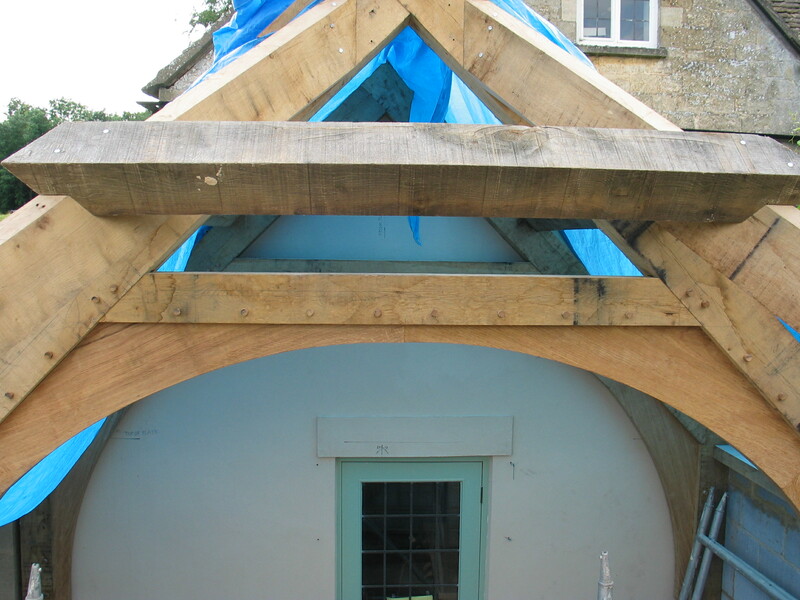 Here you can see the exposed exterior green oak frame. The clients later commissioned a green oak fence to create a border around the garden.